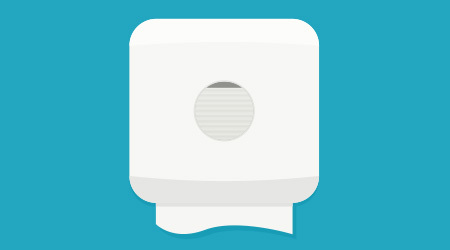 For BSCs that supply customers with bulk soap dispensers, Dr. Gerba recommends switching from an open system to a sealed-cartridge soap system. Sealed systems are not only more hygienic but easier to maintain, according to manufacturers. In just over 40 percent of the cases, BSCs mandate what type of soap dispenser a customer purchases, according to Contracting Profits’ “2017 Report On The Building Service Contractor Market.” The rest of the time they have to service whatever type of dispenser is on the wall. Faivre recommends charging a premium to service bulk dispensers because of the time involved in maintaining them. Next, to sway customers toward a sealed system, she suggests focusing on potential labor and time savings compared with refillable systems. Bulk dispensers can also be difficult to refill, resulting in spills and drips that take additional time to clean up. But most importantly, manufacturers encourage BSCs to promote the health benefits of a sealed soap system and their effect on hand-washing compliance. BSCs should also promote the clean look of a sealed system. A clean, attractive-looking soap dispenser not only encourages hand washing but elevates the image of the restroom — and, by extension, the company. For those customers who are still on the fence about switching to sealed systems, Wojtkun advises BSCs to emphasize the importance of a positive hand-washing experience. For this reason, both BSCs and their customers stand to benefit if the soap dispensers in that restroom operate as smoothly and effectively as possible.